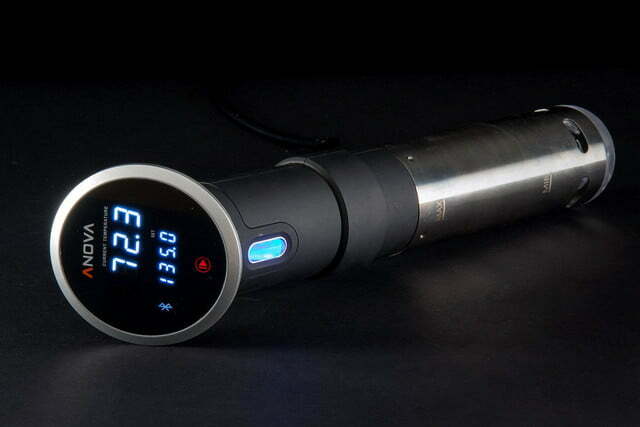 If you haven’t already jumped on the sous vide bandwagon, now is a good time to make the leap. Just a few short years ago, the tech required to cook with this technique was bulky, complex, and expensive. But now, immersion circulators are compact, insanely simple to use, and — at long last — cheap enough to be reasonable for the average home chef. The Precision Cooker from Anova is one of the latest entries into this burgeoning category of kitchen appliances. And despite being one of the most technologically advanced immersion circulators on the market, it also happens to be the most affordable we’ve seen yet. As we found out, a smarter design, simpler controls and Bluetooth capability look piping hot on paper, but one missing feature in particular left us lukewarm. 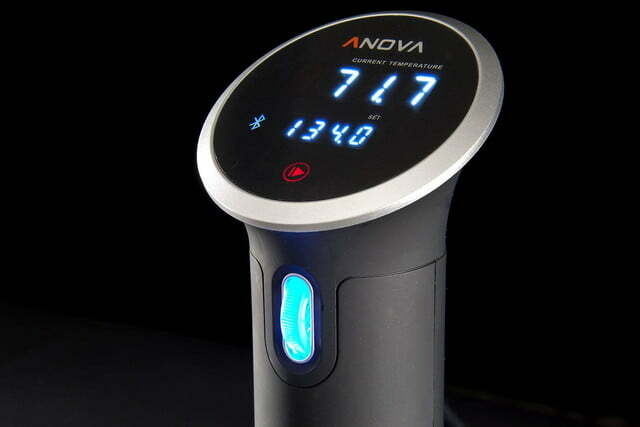 Compared to Anova’s first immersion circulator (now called the Anova One), the Precision Cooker has a number of new design elements — the most obvious of which is definitely the product’s physical design. Without the app, you can’t access the device’s defining features. The Precision Cooker has a slimmer, sleeker look to it, and detachable parts make it easier to access the heating element for cleaning, unlike with the old model’s unibody design. 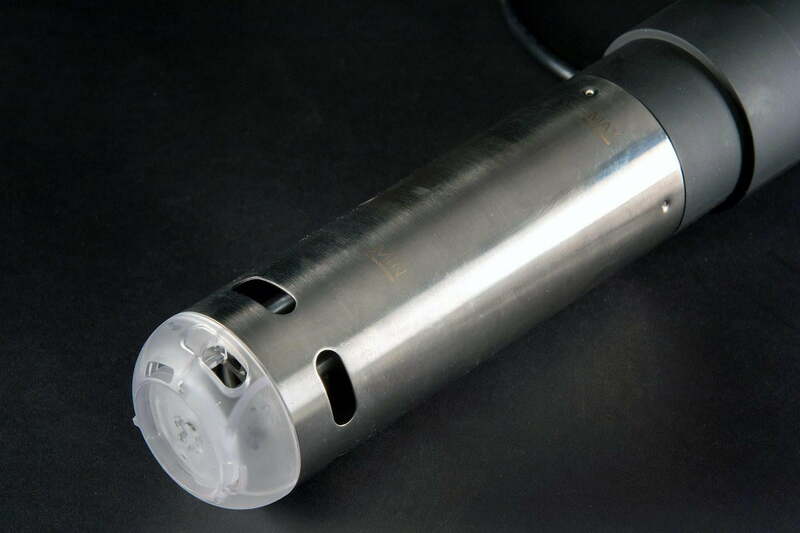 You probably won’t need to clean the Precision Cooker more than once or twice a year, but cleaning gunk and mineral deposits off the heating element will likely extend the lifespan of the device. 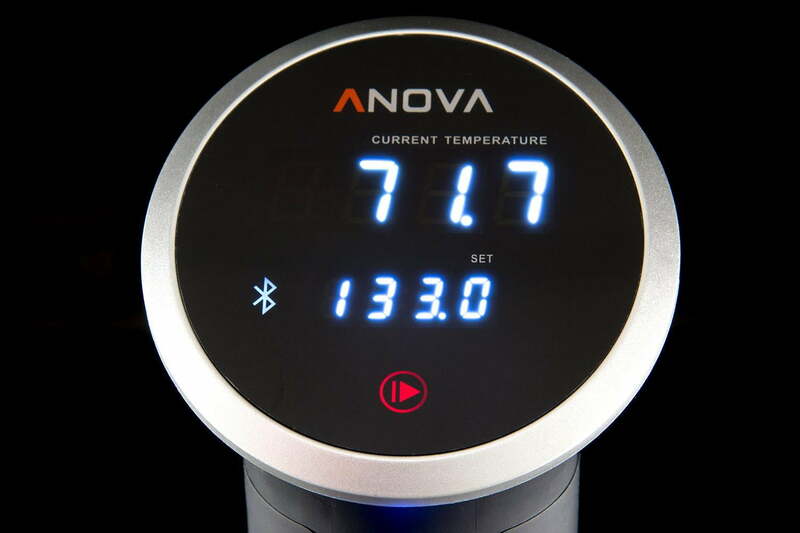 Anova also did away with the original product’s touchscreen controls, and instead opted for a simpler LED number display that you control with a roller wheel. We have a hunch that ditching the touchscreen helped drive down the price, too. The wheel isn’t quite as convenient as the touchscreen, but it’s tight, snappy, and gives off a subtle click when you roll it up or down. This makes it easy and effective for both quick scrolling and precise adjustment. 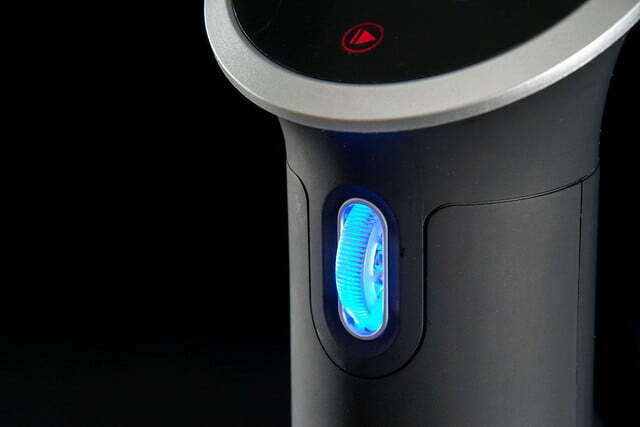 The most significant new feature is definitely Bluetooth, which allows you to control the Precision Cooker with an app on your mobile device, drastically simplifying the cooking process. Older cookers required you to look up the correct temperature and cook times for different foods — steak is 57 Celsius for two hours, chicken breast is 60 Celsius for about an hour and 40 minutes, and so on. If you were cooking something new or just hadn’t memorized them, you typically had to hop online to find the magic numbers. The Precision Cooker’s app allows you to just specify what food you’re cooking, place it in the water bath, and it will do the rest — at least that’s the theory. Here’s the rub, and not the tasty one you would apply to a pork shoulder: The app doesn’t exist yet. Anova started shipping the Precision Cooker to consumers in December, but at the time of publication in late January, it hasn’t yet released the accompanying smartphone app for the device. This is hard to look past. Without the app, you can’t access the device’s defining features, like the aforementioned automatic cook temps, mobile alerts, and even just a simple timer. This is all rather annoying, but also not necessarily a dealbreaker. Even without the app, the Precision Cooker still cooks like a dream. We tested it out with all the major food groups that are worth cooking sous-vide (beef, poultry, fish, vegetables, and eggs) and were super pleased with the results. As expected, it all turned out great. Our bone-in ribeyes were succulent and medium rare throughout, veggies were crisp and bursting with flavor, and our glazed chicken breasts were as juicy as they come. 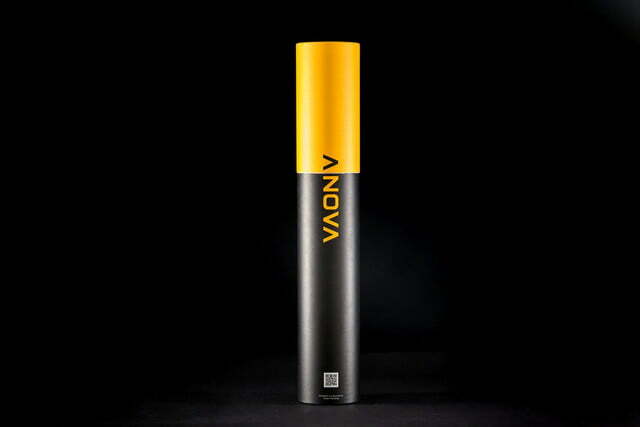 But we can only give half the credit to Anova. The other half we’ve got to give to Google. In order to cook such perfect dishes, we had to hop on a computer and look up the proper cooktimes and temperatures for each food item. This wasn’t particularly difficult to do, but Anova did promise to eliminate this step from the process, and it failed to deliver on this promise, which was disappointing. It’s also worth mentioning that the Precision Cooker is a bit weaker than other immersion circulators we’ve tried. Due to its smaller impeller and lower-power motor, the Precision Cooker doesn’t circulate water with nearly as much gusto as the Anova One. This means it’s not as effective at maintaining an even temperature in larger water baths. 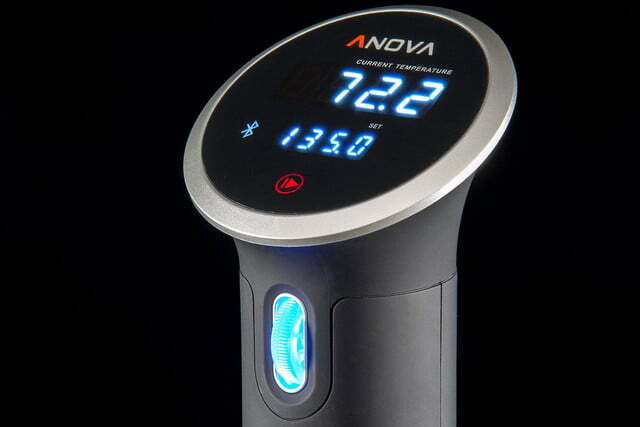 Anova only recommends the precision cooker be used for baths of about 4 to 5 gallons, which is a solid recommendation based on our experience. It definitely struggles with bigger water baths — especially ones filled with lots of vacuum-sealed goodies that block water flow. 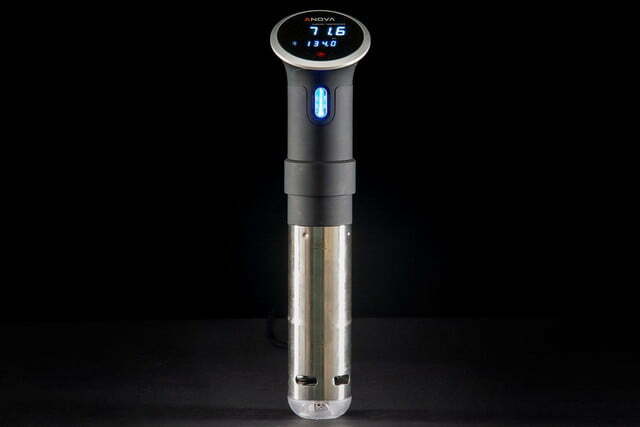 Therefore, if you cook sous vide for large groups and not just three or four people, you’d probably be better off dishing out an extra 20 bucks for the more powerful Anova One. 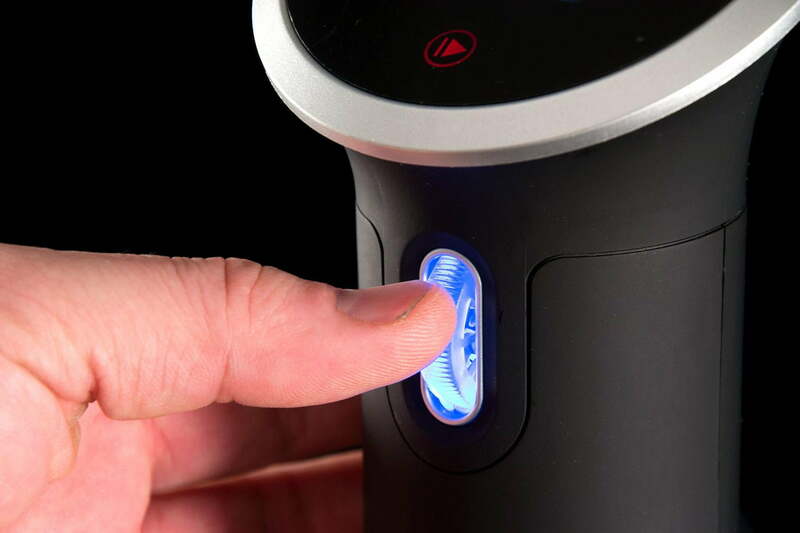 If Anova can pull itself together and release the accompanying smartphone app, we have little doubt that the Precision Cooker will be one of the best immersion circulators in the game. It’s well designed, and for just $180 bucks, it cooks just as well as any immersion circulator we’ve ever tried. Without the app, however, we can’t recommend it. The user experience is clunky and frustrating in its current state, and we have no way of telling if the yet-to-be-released app will be any good. That said, we still can’t get over the price. Even without the app, the Precision Cooker still cooks sous vide quite well, and has all the same features and functionality you’d find in more expensive models from other brands. That’s hard to ignore.